4) Pour batter into Bundt cake pan and bake in oven about an hour until a toothpick inserted in center comes out clean; remove from oven and let cool at least 15 minutes (warm is delicious–and lightly buttered since frosting was a no-no); enjoy! 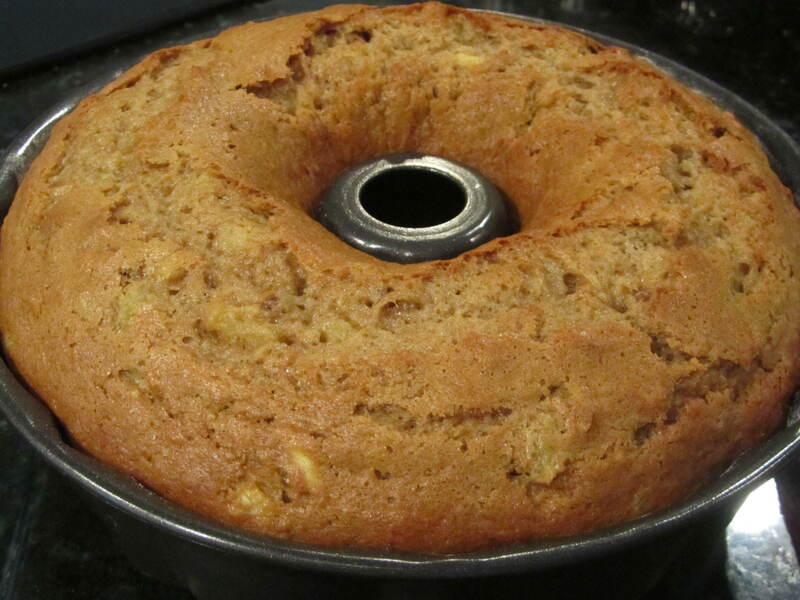 This entry was posted in Sweets and tagged Baking, Banana Bread, Banana Cake, Banana Pineapple Bread, Banana Pineapple Cake, Buttermilk Hummingbird Cake, cake, Cooking, Food, Hummingbird Cake, Recipe. Mmmm maybe I’m just PMSing but this sounds great right now! I would like your frosting recipe for this, too! This sounds like something my dad would love, and he’d definitely opt for no frosting, too! 🙂 Thanks for sharing!